Are Night Owls Lazy Owls While Early Birds Stay in Shape? According to a new study from the Academy of Sleep Medicine, night owls tend to be more sedentary and feel that they have a harder time maintaining an exercise schedule. “We found that even among healthy, active individuals, sleep timing and circadian preference are related to activity patterns and attitudes toward physical activity,” said lead researcher Kelly Glazer Baron, associate professor of neurology and director of the Behavioral Sleep Medicine Program at the Feinberg School of Medicine. To anyone who knows about Ayurveda, this makes total sense. From an Ayurveda perspective, sleeping into the Kapha time of the day allows the heavy, slow, lethargic qualities of kapha to influence our mind/body system. Let’s examine the mechanics of this phenomenon. According to Ayurveda there are three time periods in every twelve hours: Vata, Pitta, and Kapha. The Vata dominated period is from 2 until 6, the Kapha from 6 to 10, and the Pitta from 10 to 2. The cycle repeats itself in the next twelve hours, so that there are two Vata times, two Kapha times, and two Pitta times each day, one during the daytime and one during the nighttime. Vata dosha is a combination of air and space. Vata’s qualities are light, mobile, dry, cold, erratic and subtle. The Pitta dosha is comprised of fire and water. Pitta’s qualities are hot, sharp, light, and intense. The Kapha dosha is comprised of earth and water. Kapha is heavy, steady, dull, stable, soft, and static. We know that the doshas exist not only within our bodies but throughout all the world around us. Our bodies experience increased balance and ease of functioning when we follow a daily routine that is in tune with the natural rhythms of the day. To stay in sync with the cycles of nature, we should go to bed before 10:00 so that we take advantage of the slow, stable and heavy quality of Kapha time, which is ideal for falling asleep. Following the same reasoning, we want to rise before or near to 6:00 am, taking advantage of the light, energetic quality of Vata time. If we extend our sleep into Kapha time, we bring that heavy, dull quality of Kapha into our waking hours. Sleeping as late as 8:00 or 9:00 am can make us feel sluggish —and it makes sense that exercise would be perceived as uninviting. As we discussed in last week’s blog, increasing the influence of Kapha, especially during the spring and summer, can lead to an accumulation of ama throughout the body. If you are find that you have gotten into bad habits in terms of bedtimes and rising times, and notice any increasingly sedentary habits, it’s time to take steps to reset your daily routine before serious imbalances develop. For tips on resetting your sleep schedule, visit our February post, Time to Wake Up. For information on consulting an Ayurveda expert or information on the balancing and detoxifying treatments of Ayurveda, visit The Raj, Ayurveda Health Spa and Treatment Center. 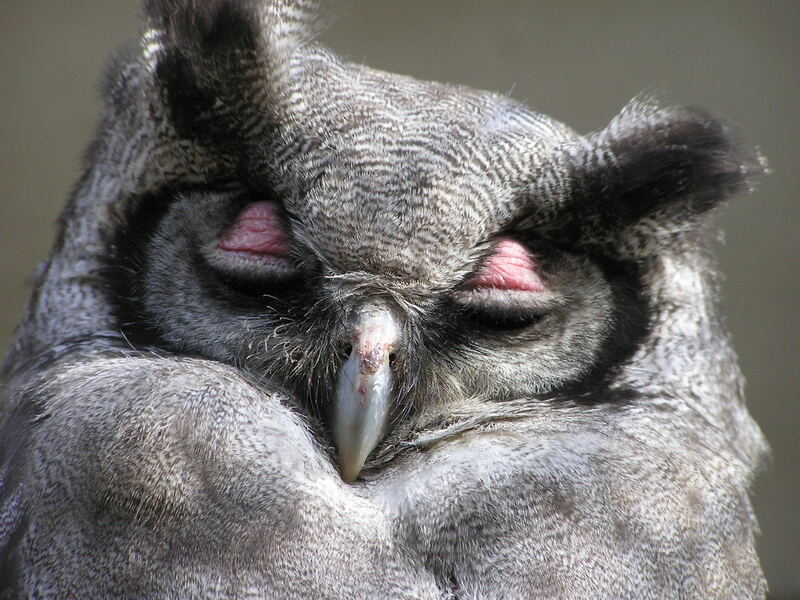 ( Picture of sleepy owl. Source: Google Advance Image Search. ( Picture of alarm clock. Source: Google Advance Image Search. This entry was posted in Ayurvedic Exercise, Insomnia, Kapha Tips, Sleep and tagged Ayurveda Insomnia, Ayurveda sleep, Exercise, Kapha, Sleep by The Raj blog. Bookmark the permalink.